We had plenty of Eames-filled dreams after seeing the Collecting Eames show with de LaB last Tuesday, hosted by renowned furniture dealer JF Chen. 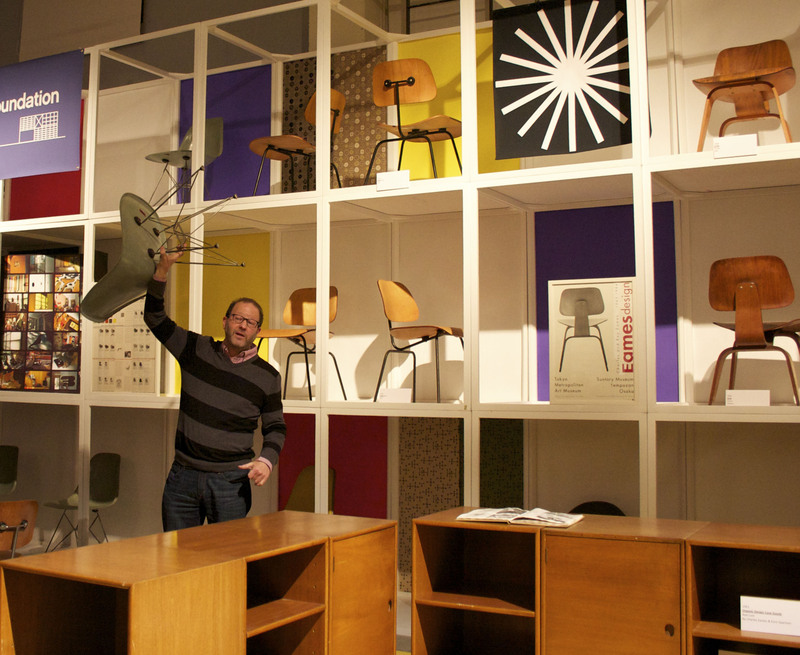 Daniel Ostroff, curator and editor of EamesDesigns, led a tour of the design duo‘s 425 covet-worthy classics – the largest collection of original Eames furniture in the nation. In his engaging talk, Ostroff demonstrated a healthy amount of respect and passion for all things Eames, explaining the history of each piece in great detail. From the utilitarian (the now-iconic plastic chair) to the innovative (a molded fiberglass La Chaise), and even the unexpected (a tube radio, anyone? 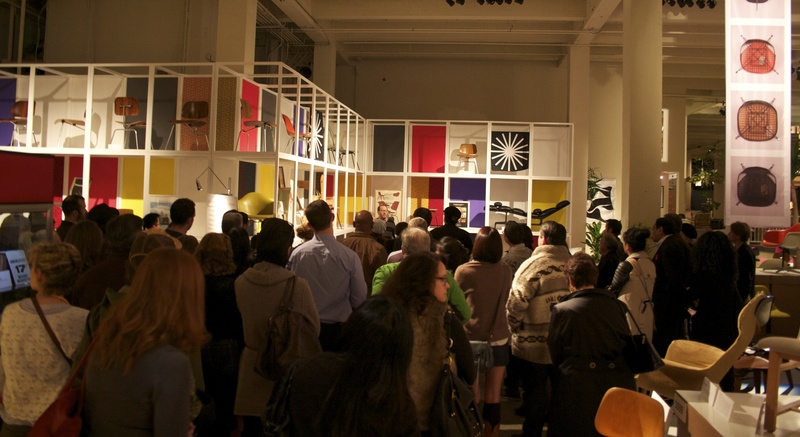 ), the exhibit gave a comprehensive look into the Eames’ impressive body of work. “Collecting Eames” will be on display until January 14, 2012 as a part of the Getty’s art initiative, Pacific Standard Time. Check out the exhibit at JF Chen, or take home a piece of the show with the handsome hardcover, Collecting Eames, The JF Chen Collection. Of course, all the pieces are available for purchase. Or you can talk to JF Chen about Herman Miller repros. 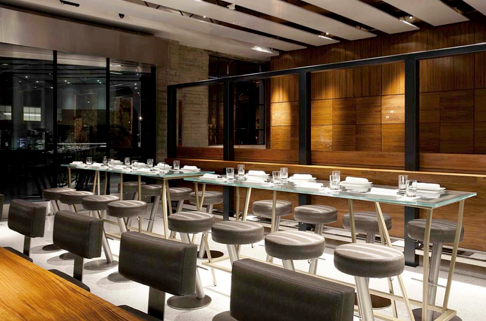 I’m not really sure which I’m addicted to more, food or design, so the AIA LA’s annual Restaurant Design Awards are naturally something that I never fail to mark on the calendar. This year, however, I was honored to be included on the jury along with architect Dean Larkin and chef and author Mark Peel of Campanile fame. After nearly five hours of careful deliberation, we, the jury, selected a list of finalists for you, the people’s, voting pleasure. The nominees include restaurants, cafe/bars, and lounges from LA, Austin, Portland (Maine, not Oregon), and even the city of my birth, Columbus, OH. 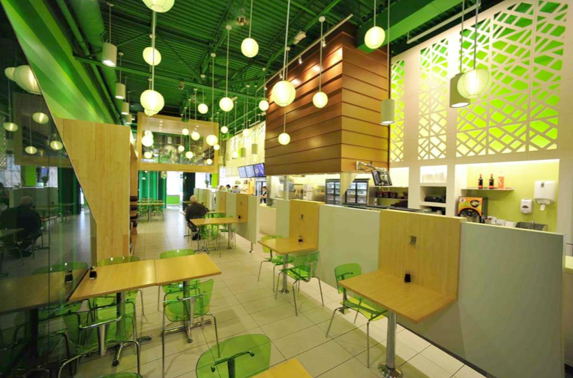 Already popping up on Eater LA and California Home and Design, the word is clearly out. People need only click here to vote for their choice for top toques. Then come out to Dwell on Design on June 24th to find out who will be crowned victorious. 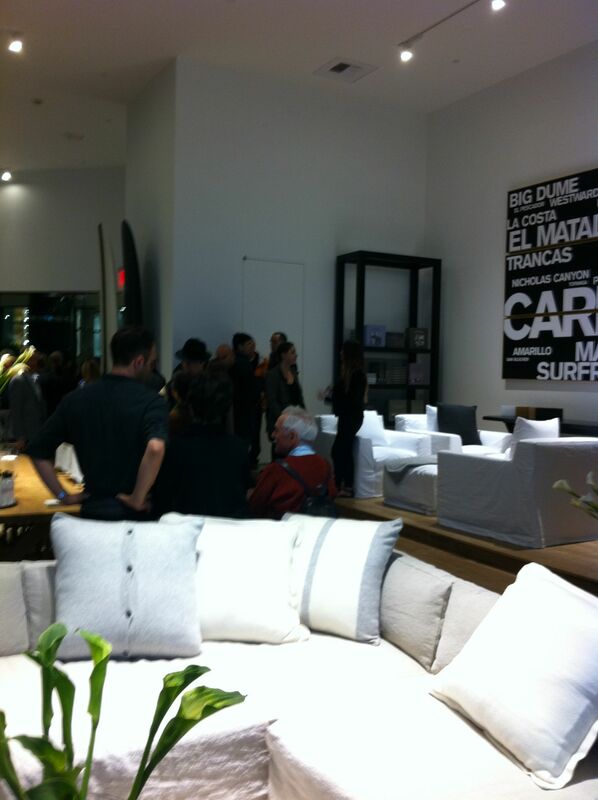 This week, LA’s Pacific Design Center was home to the forums and showrooms of WESTWEEK 2011 (March 22-26), one of the leading events for design professionals. The Secret Agents managed to squeeze into the PDC’s packed SilverScreen Theater on Tuesday (it was so full, latecomers had to stand for an entire hour) to hear a keynote panel discussion from professionals in the design editorial world. 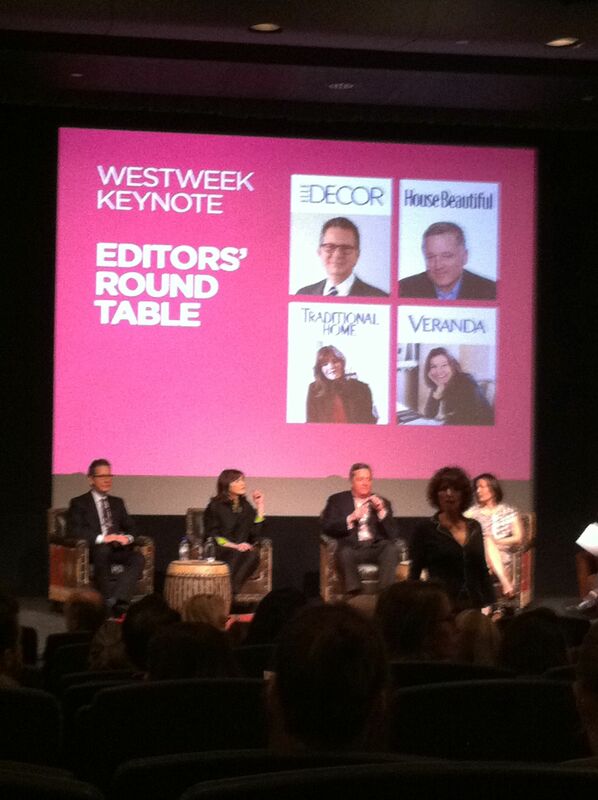 Editors-in-Chief Michael Boodro (ELLE Decor), Newell Turner (House Beautiful), Ann Omvig Maine (Traditional Home), and Dara Caponigro (Veranda) imparted their morsels of wisdom and experience to a diverse crowd, ranging from seasoned, old-school designers to eager, new-school bloggers. The WESTWEEK 2011 schedule was chock full of receptions, opening parties, forums, and products to see. 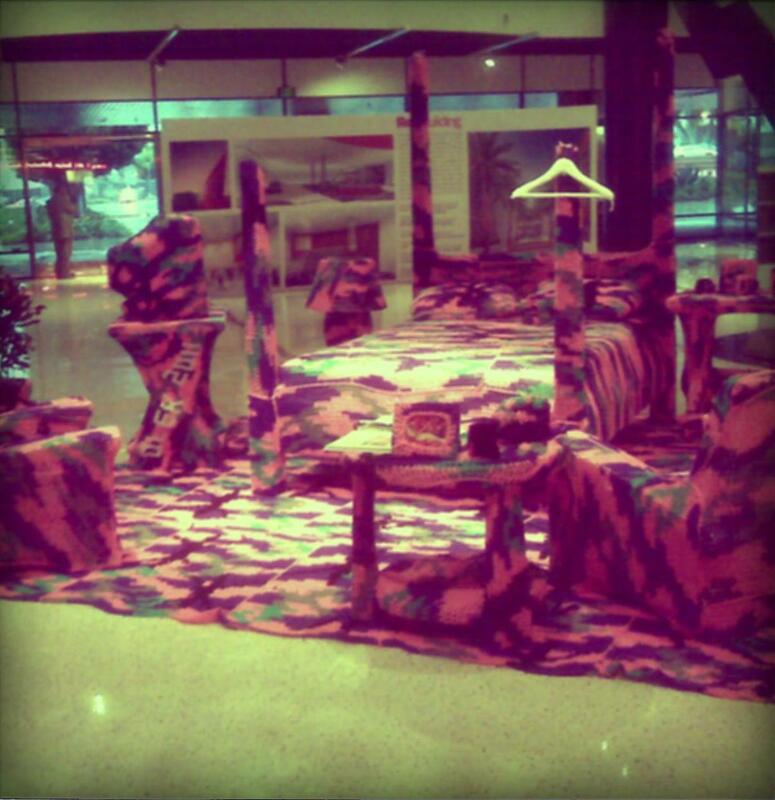 In between events, we had our own fun looking at various installations throughout the PDC (like artist Olek’s cozy crocheted bedroom, in the low-quality photo above – courtesy of my phone), and dining at Wolfgang Puck’s contemporary restaurant, red | seven. 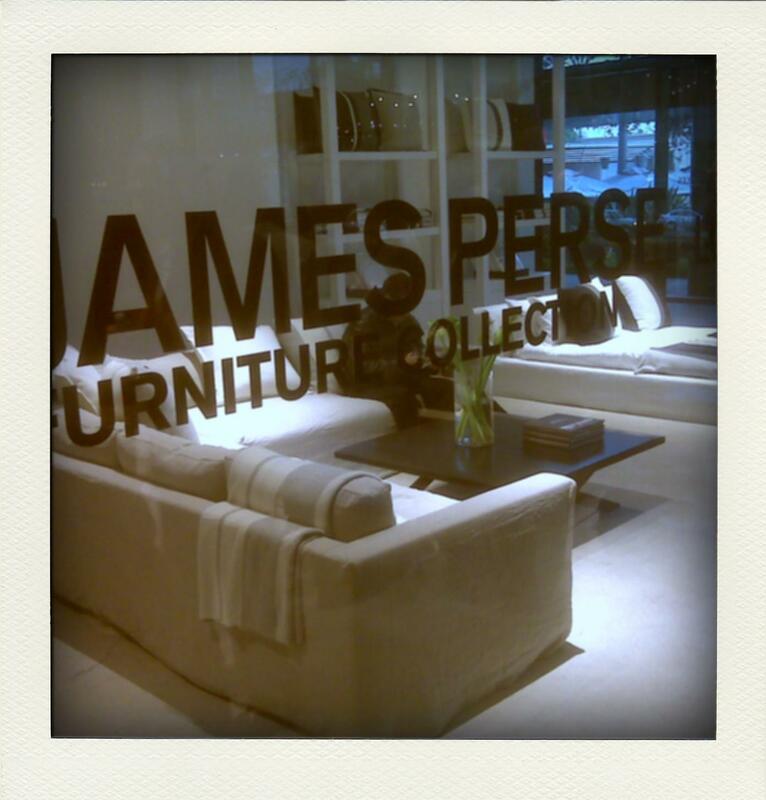 The Secret Agents ended our night at an opening party for the new James Perse furniture showroom. Sleek lines and simple design evoked the casual, timeless philosophy embodied in the brand’s clothing line. With so many things to see, it’s not too late to check out WESTWEEK 2011 – head over to the Pacific Design Center tomorrow, Saturday March 26, for the last of the WESTWEEK festivities! Sunny skies, old-school jams, and buckets of technicolor paint. Throw in some veteran graffiti artists, a blingin’ boombox, and free food to the mix (can’t go wrong with a dozen boxes of pizza), and you’ve got yourself a pretty awesome Saturday afternoon! Two of our very own Secret Agents were in Oakland over the weekend to help kick off the Estria Foundation’s “Water Writes” campaign. 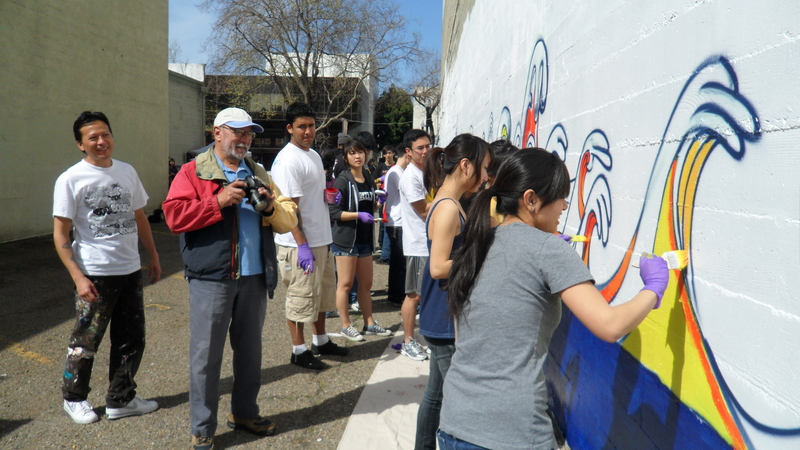 Over a hundred Bay area locals came out for the public paint party, and did a great job of leaving their marks – literally – on the wall (and in some cases, on each other). The Oakland mural is just one of a series of public projects that the Estria Foundation will be completing over the course of ten months, in countries all across the globe. Each artwork will depict water rights issues in various communities, in an effort to raise awareness of the growing water and sanitation crisis around the world. 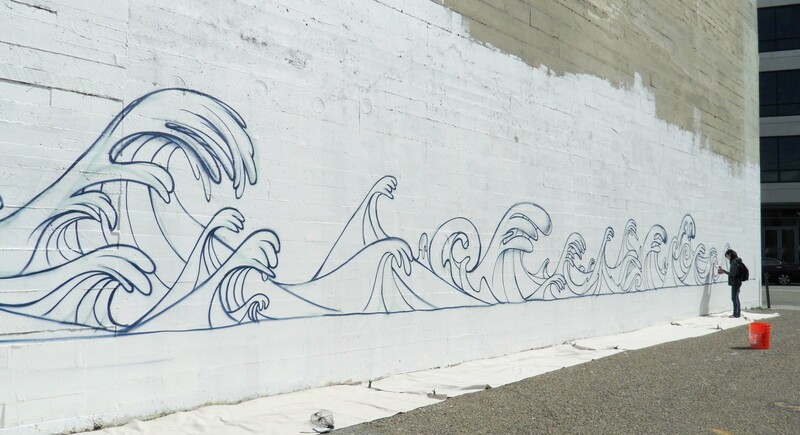 Coming up next for the Estria Foundation is the unveiling of their first completed “Water Writes” mural at KIPP LA this Saturday, March 19. Can’t wait to see what the final product looks like! 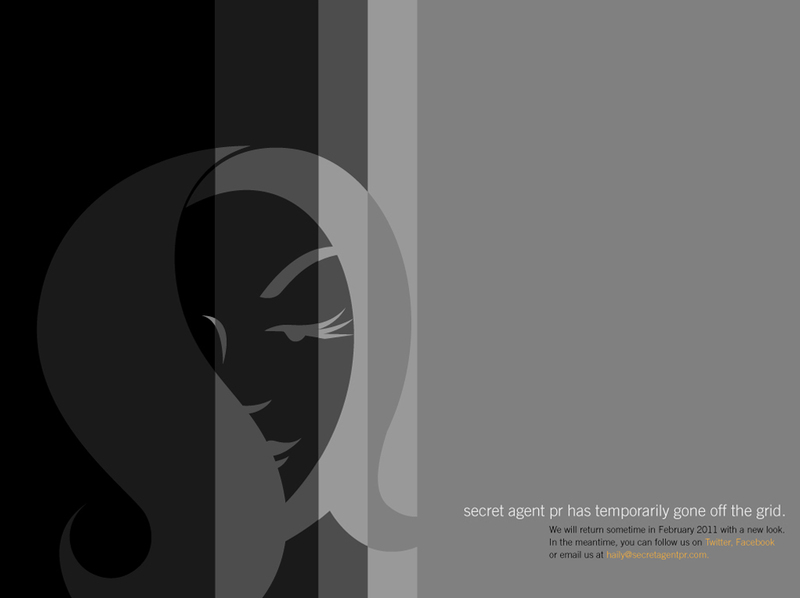 Friends of Secret Agent may have noticed that we’ve gone off the grid temporarily. We’re still here, infiltrating the media in the name of good design for our amazing clients, but we’ve decided to follow through on one of our new year’s resolutions. Since 2008, we’ve been busily working it with nary a thought to our own marketing and branding. Now entering our junior year in business, we decided it was time to stop being the cobbler with no shoes. Our new shoes…er, SITE, will be live in the very near future. For now, you can follow our exciting missions on facebook or twitter. Or here on our very own dedicated Secret Agent PR blog. Here’s to an exciting 2011!